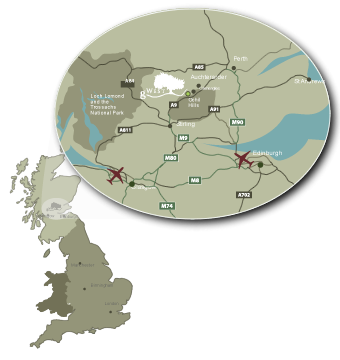 gWest is a private gated resort set on an estate spanning more than 620 acres (250 hectares) of majestic Scottish countryside. 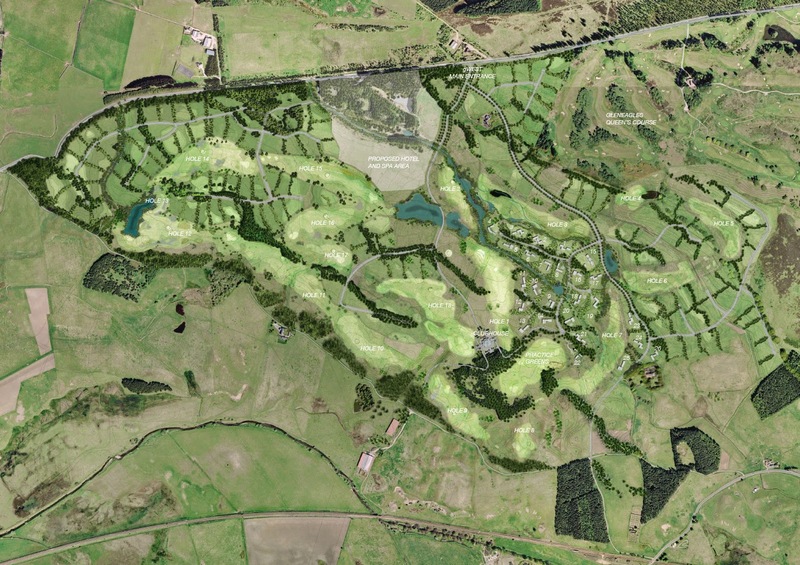 The site is enhanced by the spectacular golf course, which has been specifically designed to blend seamlessly with the landscape and enhance the far reaching views of the surrounding hills and countryside. 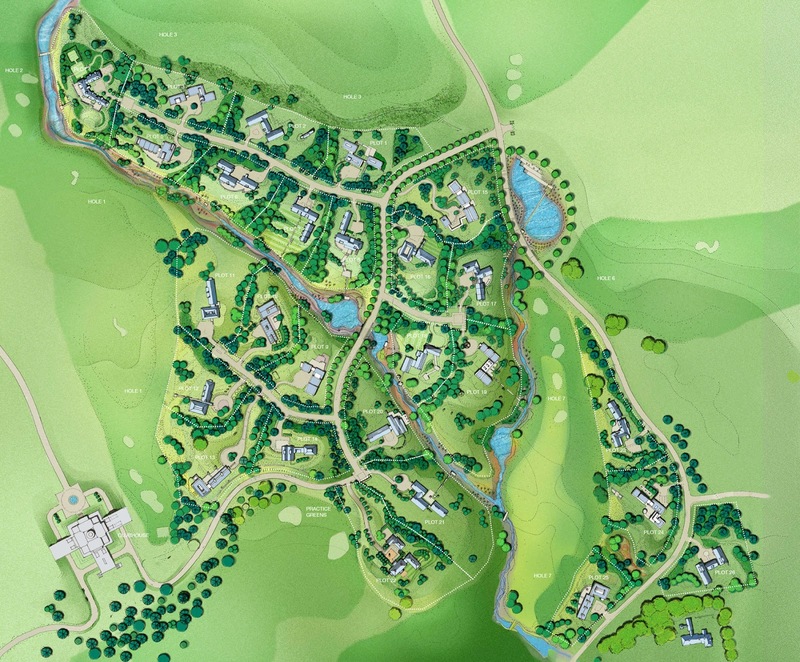 gWest will comprise an exquisite golf course and clubhouse, an ultra-luxury hotel with concierge services, world-class dining, destination spa, leisure and entertainment facilities. The views from the estate are extraordinary, with the Ochil Hills to the south, and to the west, across rolling hills and mountains, Ben Vorlich in Loch Lomond and the Trossachs National Park can be seen. The estate extends 2.3 miles (3.75km) from east to west, and it is surrounded by natural land, the majority of which is also owned by the developer, ensuring that the boundaries, access and views are protected. Two listed heritage sites of old forts are also located within the grounds of the resort, and an ancient church lies just beyond. The landscaping and the introduction of an additional 120,000 trees across the estate has been planned meticulously to complement the natural environment and increase privacy. The undulating terrain slopes gently towards the southwest, with drumlins and woodland glades adding particular character.